Find your passport, grab a plane, and fly over to Paris. Grab brunch at your local brasserie, and there is your European/French breakfast with freshly baked bread and all the classics. 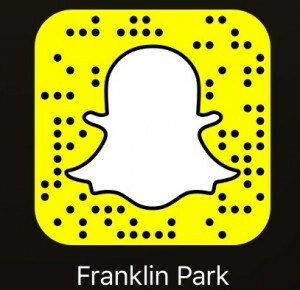 Instead, drive down 3rd Street near Crescent Heights and you will be at Little Next Door. 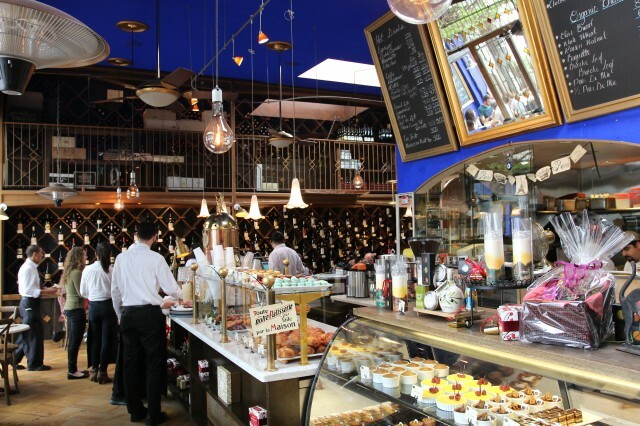 The French inspired brasserie is spot on with the colors, cuisine and bakery selections. I enjoyed the food and Little Next Door is a great contender amongst the many breakfast spots in this area. We started things off with a caramel latte. Doctors say, drink water in the morning to jump start your internal organs. Well, caffeine does the same, except really fast. Coffee Latte over water always! 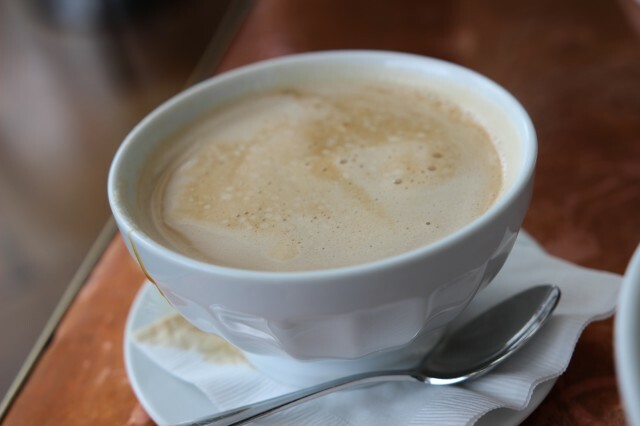 We missed the latte art, but this large cup of caramel latte was delicious. Not too sweet, the coffee flavor was pure and delightful. It was creamy, delicious, and all I could wish was to have had this last with our dessert. We were treated with some delicious bread. One could only assume this was all made in house. It was light, airy and perfect with the olive oil and balsamic mix. The mixture was sweet, acidic, and was zesty from the herbs and garlic inside. 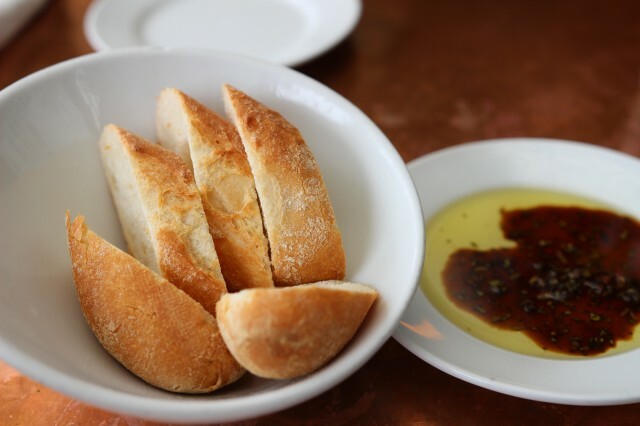 I was glad there wasn’t a lot of bread that was served — that would have been bad. 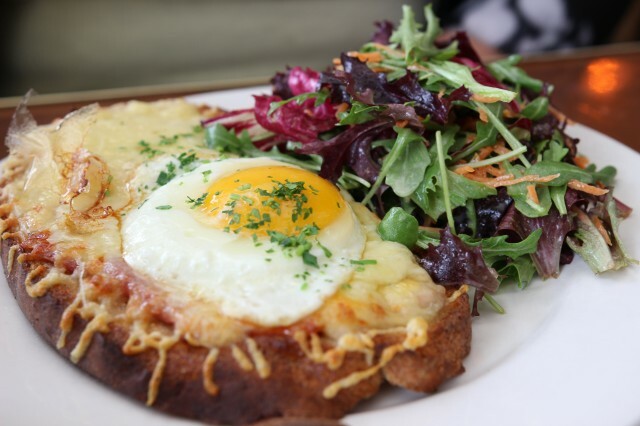 The Croque Madame is almost the perfect breakfast. It is cheesy, has ham, and of course, a runny egg on top. The grilled ham in this one was really nice in quality. You could taste the freshness and the actual pork flavor came out. This open faced sandwich made with whole wheat bread was a covered in amazingly melted and toasted cheese. The combination with the simple vinaigrette salad was satisfying. The simplicity of this dish is what made me enjoy it. 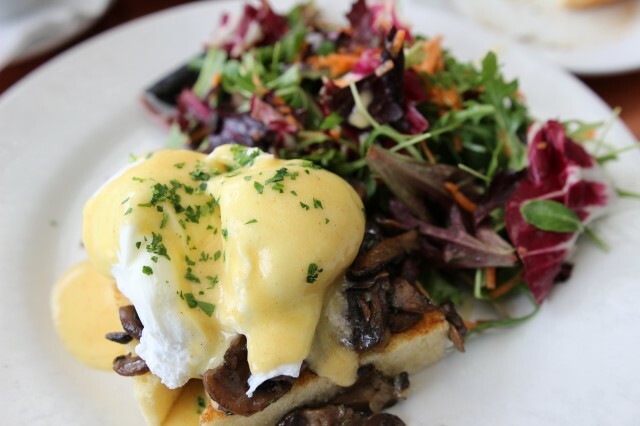 Eggs Benedict is another one of those classic brunch menu items. We opted for the Wild Mushroom Eggs Benedict. I appreciated the lightness and delicate Hollandaise sauce. It usually is a bit on the sour side or rich with too much butter. Theirs was just a compliment to this dish. The mushrooms were the star — it had a good bite to it with an earthy flavor. The egg was poached perfectly, and the egg yolk was warm and running. I appreciated that the bread was toast with crust cut off instead of an English muffin. This made it easy to cut and eat with a fork. The side house green salad went well with this dish. Of course, we had to finish things off with macarons. My favorite was the caramel, something the waiter picked out for us. The other 3 were total misses. I tried a bunch of macarons in my day, and these were just so-so. The inside was moist, but a little too moist, almost wet. The outside crust was nice, but the inside was a bit off. 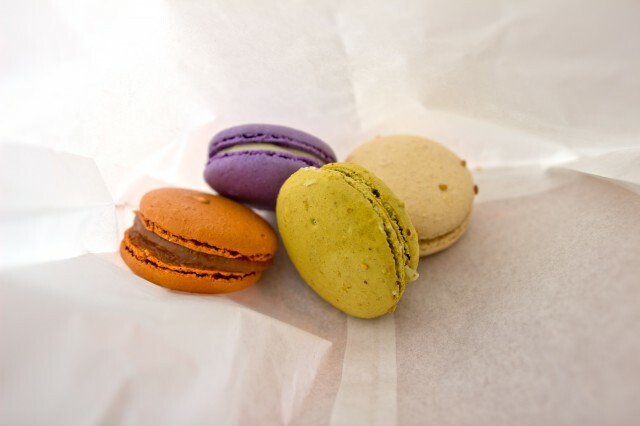 A good macaron has a nice firm outer crust, and the inside should be light, then dense as you chew. Their flavors were ok, but the texture was a bit off. I wish I had a chance to try some of their other pastries and baked goods. Little Next Door does a good job in bringing France to 3rd Street. The decor is on point, and the food items are delicious. I could only imagine food in France to be only slightly better (maybe a little more than slightly). 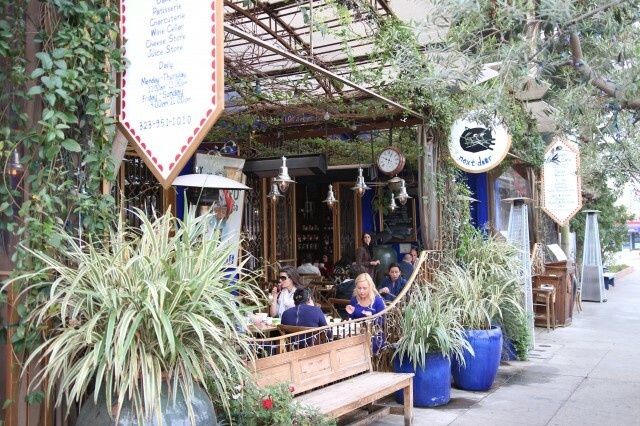 It was relaxing eating brunch outside, people watching and seeing the cars wiz by on the street. They serve breakfast, lunch, and dinner, but it is safe to say breakfast is king here.